This year in January Todd Blatt, a mechanical engineer and maker, grouped with 5 other engineers – David Fine, Matthew Griffin, Amy Hurst, Ryan Kittleson, and Marty McGuire – and established We The Builders. It’s a new a crowdsourced 3D printing project. The team started recreating life-size (1:1) models of the famous work of Baltimore public art with 3D printing technologies. Their first enterprise, the George Crowdsourcington model, was finished and presented at the NY 3D Print Show and then it was shown all around the country during dozens of events. The head-and-shoulders statue is a copy of a statue in the style similar to Giuseppe Ceracchi’s neoclassical “Bust of George Washington” (1791-1792) which is being displayed as part of the restoration of Washington Monument not far from Walters Art Museum. 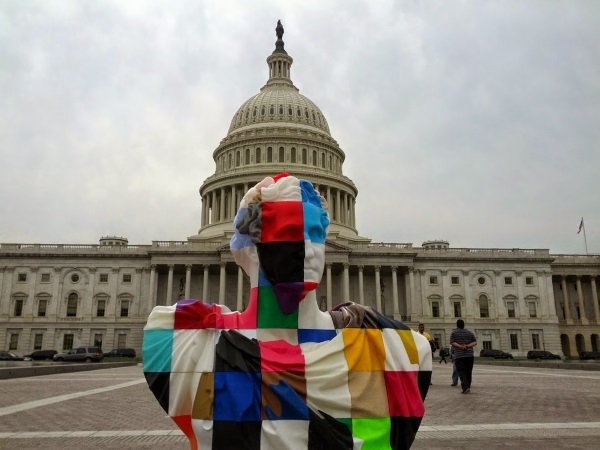 All the 110 pieces of the George Crowdsourcington were 3D printed by 70 makers from all over the world and their own 3D printers; later they were sent to Maryland, glued there together and so they got a one-meter-high sculpture. 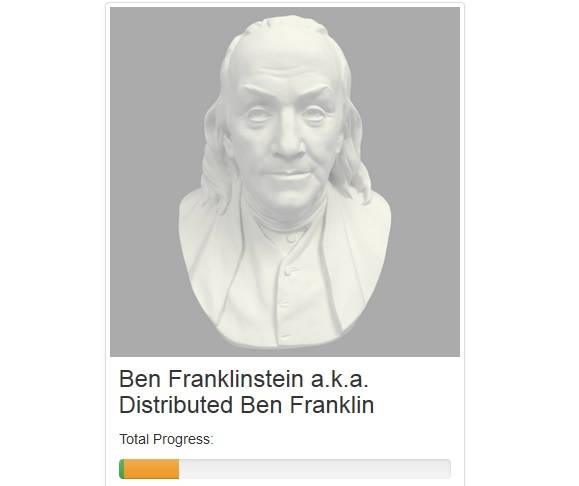 On August, 4th, We The Builders team started creating their second crowdsourced 3D printed sculpture – Distributed Benjamin Franklin. The head-and-shoulders they are making is the copy of a current part of Benjamin Franklin. 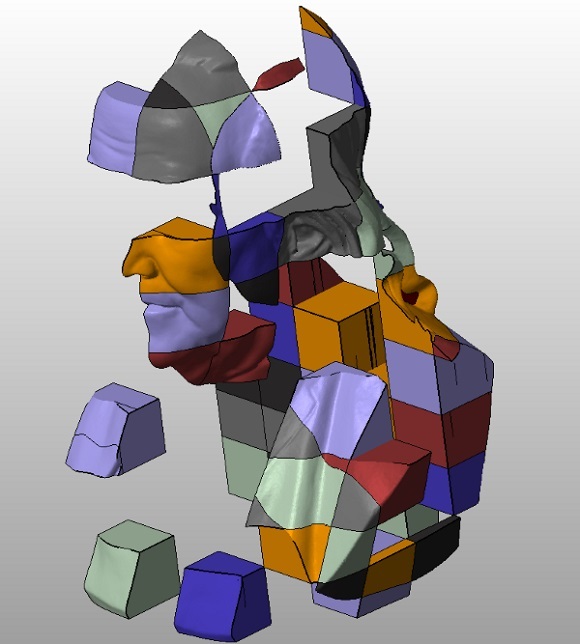 First of all the sculpture was scanned by Baltimore scanning company Direct Dimension and the prototype was then cut into 198 pieces with netfabb. 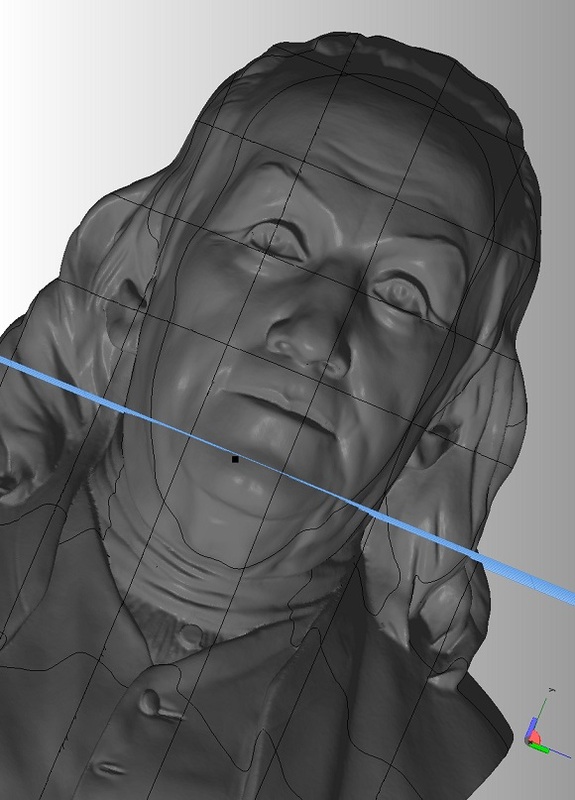 The model was boosted, so the ready sculpture will be as tall as George, about 33″. 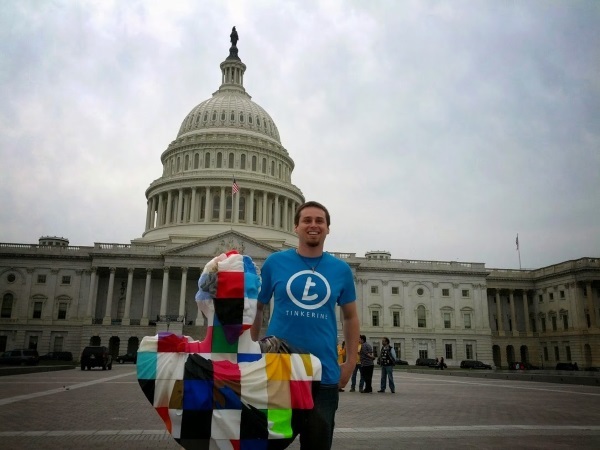 The project is to be performed in the same way: any person who has a 3D printer is free to log in, download any piece of the sculpture, 3D print it and send to Baltimore, where they will be glued together. 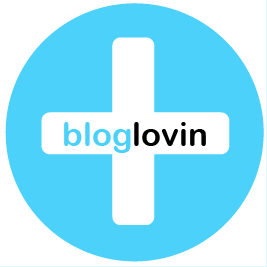 To make the project work you need to sign in using your Google+ account so as to get a block to print. After you have it, you have 24 hours to print the block. It doesn’t matter what material you use or what color the block is – you are free to choose them. You may also sign with your initials on the back or any other place where it’s not visible. Afterwards you are to upload a picture of the block together with its proportions (width, length and height). The print will then be verified and you will be given the address where to send the block. When the team get all the parts of the sculpture, they will glue the pieces together. All the pieces are made in small sizes so that more people could take part in the project. The project started on August, 4th and the team hope that all the 3D printed parts will be sent to Baltimore by September, 1. They intend to glue the parts together before Silver Spring Mini Maker Faire, which is scheduled on September, 14, and followed by World Maker Faire NYC on September 20 and 21. If you wish, you are welcome to become part of the project. Just sign up at WeTheBuilders’s site.